Turn you Bitcoin into anything you want. Discover the Power of a Smart Contract. Use your Bitcoin or Fiat currency to purchase YEM at TwnklBuy. Use your YEM to purchase TEC, TSHC, TMC, TVC, CBMT and more. SafeTransfer is the only file upload and transfer service accredited by the SafeZone! Simply log in with your SafeZone Pass, upload your file, and select the PerNums who shall be able to download the file. Now that we have a number of things back in the SafeZone and set up within our network, we are starting to move away from our external social media pages, and external services like Skype and others. So step by step you will see things being closed down, or member announcements not being posted in those areas, and this is because the main place for you to get all of your announcements as a member is WazzUb. Pay attention to that NEWS area, because we put all the announcements there. The newest announcements will always be up at the top in those sections (i.e. Sticky). So that is a quick way to stay informed. To easily navigate inside WazzUb and all the sub-areas, just click on the WAZZUB logo in the upper left corner, and you will see the main dashboard with the main links to different languages, the chat, the ThinkTank etc. So keep this in mind for easy navigation. If you want to know what is going on with TwnklShop, all you need to do is go to the TwnklShop Wishlist from WazzUb, and then go to the “Listed Products” section. Every day when we list a product, we add the product that’s listed, the next product that is coming, and a Congratulations to the person who won a free product that day. Visit the SafeZone Social Sites group link to learn more about Unicorn Network communications. that there is also PERNUM Messenger ? With the PERNUM Messenger You can send messages to your inviter and to your first generation members. 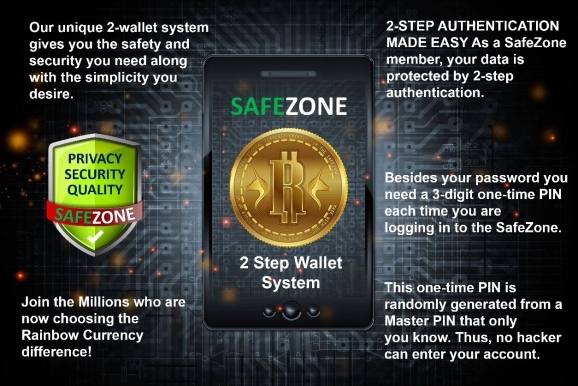 If you joined the Unicorn Network SafeZone at SafeZone.Tips then check your PERNUM Messenger for your Welcome Message and send a message back to say Hello. More PERNUM Messenger functions will be added step by step. The PERNUM Messenger is in beta testing. Visit PERNUM.com to learn more. The place where you can learn more about internet marketing. With your SafeZone Pass you can enter all the sites in the SafeZone. Whenever you open a page in the SafeZone, you can rest assured that you are protected.. The place where you can learn more about invitation marketing. First Generation: Whenever a member you invited is closing a deal on one of our partner websites, you receive a commission of up to 20% of the product’s value. Following Generations: Whenever a member invited by your first to fifth generation is closing a deal on one of our partner websites, you receive a Family Bonus of up to 2% of the product’s value. But has links to the Official Site.